Physical Exercise: Physical activity is planned, structured, repetitive and directed with the objective of improving or maintaining one or more of the components of physical fitness. Examples: Strength, Strength, Speed, Flexibility. Physical Fitness is a set of attributes that people have or achieves, in which they perform daily tasks without excessive fatigue and with enough energy to enjoy free time and meet unforeseen needs. Taking into account these differences, we can at first sight realize that it happens in one and the other and at the same time to relate them. The goal of physical exercise is to achieve realistic goals for a healthy body and a healthy life. We are becoming increasingly aware that the only magic pill that exists to maintain our health is to have a life full of healthy daily habits. Today we are going to talk about a new study published by the journal Pediatrics in which it is confirmed that physical exercise is the best medicine that exists, even for our brains. Physical exercise improves our mental concentration, memory and cognitive flexibility, as a result of which the academic performance of children who practice physical activity improves with respect to those who are more sedentary. The main objective of this study was to evaluate the effect of physical activity on the behavior and brain capacity of a group of children between 7 and 9 years of age. At the end of this period, a very important improvement in the cognitive performance and brain health of the children who performed the physical activity program was observed. It was demonstrated that physical exercise is responsible for such cognitive and brain improvement. Further deepening in the study, it is possible to emphasize that the physical exercise caused a greater resistance to the distraction, that is to say, the students maintained more their attention and in addition they were observed improvements in the memory and also in the cognitive flexibility when realizing Different tasks. This study in particular lasted only nine months, but at such early ages, nine months is more than enough time to be able to assess and draw clear conclusions, although undoubtedly will continue to investigate. Another study confirms that daily physical activity is very important at all ages, but it is even more so when we are young. 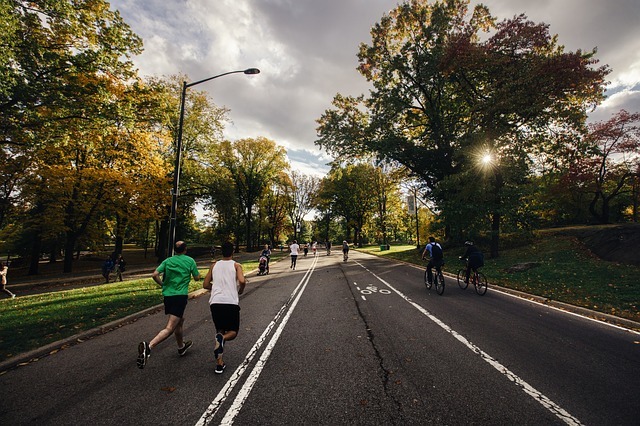 In the Swedish study, researchers at the Karolinska Institute asked more than 44,000 men aged 45 to 79 about their physical activity patterns during their free time when they were 15, 30, 50, and 60 years old. In addition, researchers monitor cardiovascular health data since 1997 to assess how many had developed an irregular heartbeat - atrial fibrillation - a known risk factor for stroke. And the results were again astounding: those who had exercised intensely for more than five hours a week were 19% more likely to develop atrial fibrillation at age 60 than those who exercised less than one hour a week. And another "disturbing" data: the risk of atrial fibrillation rose to 49%. At 30 years age group did more than 5 hours of exercise per week, but less than 1 hour per week at 60. In the related editorial suggested that intensity of the exercise is likely to be greater than 30 than 60, so it may have less extreme effects on the body. However, they point out, both studies point to intensity and duration of exercise as critical factors in the associations found. And they explain that there is a curve for the dose-response effect of exercise: "maximum cardiovascular benefits are obtained if the exercise is performed in moderate doses, while those benefits are lost with prolonged and intense efforts." We have already talked about the benefits of physical exercise in our mental health and even less than a month ago we also mentioned the result of a study on the improvement that physical exercise produced in children with hyperactivity. Without a doubt, maintaining healthy habits, a balanced diet, a proper rest and a routine of daily physical exercise, is the best way to enjoy good health throughout our lives, something that no pill can provide us.